Authorities are investigating a police-involved shooting that took place in the Hillendale area of Parkville early Wednesday morning. 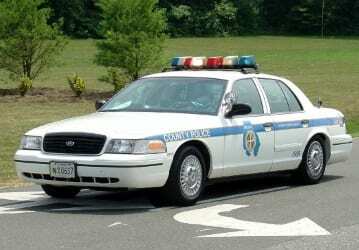 At just before 4:30 a.m., the Baltimore County Police Department received a call for a suspect breaking into cars in the area of Hillendale Road and Northview Road, 21234. An officer arrived at the scene and witnessed a man attempting to conceal himself from the officer’s view, turning his back towards the officer. The officer approached the man and called out to him. As the officer walked in his direction, the man turned around facing the officer and reached for a gun inside of the waistband of his pants. The officer observed the suspect reaching for the gun and yelled for the man to stop. The suspect continued to pull the gun and the officer fired multiple shots from his service weapon. The suspect was struck and suffered a wound to the lower body. A handgun was recovered at the scene of the shooting. The suspect, a 27-year-old man was taken to Shock Trauma for treatment. His condition is not known at this time. The Baltimore County Police Department is conducting its investigation and will submit the case to the Baltimore County State’s Attorney’s Office for their review.